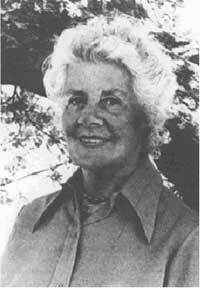 The Trixie Belden books were written between 1948 and 1986. Initially authored by Julie Campbell Tatham, the series was ghost written by at least eight other people under the name Kathryn Kenney after Tatham gave up writing. There is much debate over who the ghost writers were, and most folks feel this mystery will remain unsolved. Julie Campbell Tatham was a literary agent who proposed the Belden series when Western Publishing put out the call for authors who could produce children’s mystery and adventure stories. She had already authored numerous magazine stories and articles. In addition to the Belden books, she wrote the Cherry Ames (nurse) and Vickie Barr (stewardess) series. 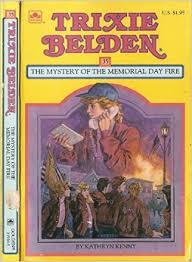 Published in 1984, The Mystery of the Memorial Day Fire is the thirty-fifth book in the series, which had a total of thirty-nine books. Trixie and her friends search for an arsonist who sets fire to a local store and warehouse during the annual Memorial Day parade. A fun aspect of the book is the characters’ trip to the library to use “The Reader’s Guide to Periodical Literature.” Remember those? Consider a trip down Memory Lane this Memorial Day and pick up a copy of your favorite children’s book.